But here, having heard one brief call, they both followed immediately. 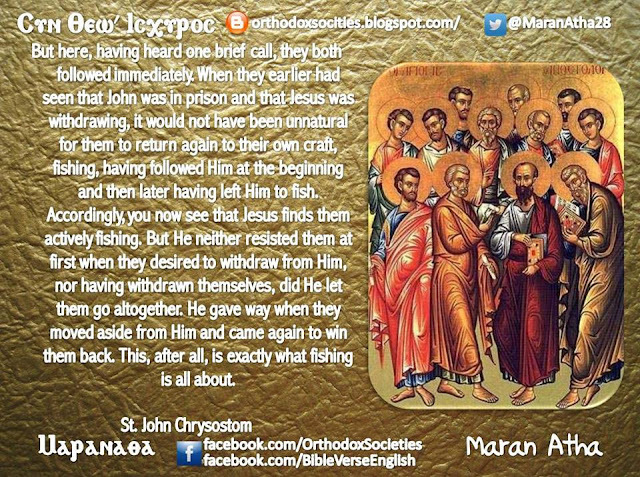 When they earlier had seen that John was in prison and that Jesus was withdrawing, it would not have been unnatural for them to return again to their own craft, fishing, having followed Him at the beginning and then later having left Him to fish. Accordingly, you now see that Jesus finds them actively fishing. But He neither resisted them at first when they desired to withdraw from Him, nor having withdrawn themselves, did He let them go altogether. He gave way when they moved aside from Him and came again to win them back. This, after all, is exactly what fishing is all about.